OBJECTIVE | Create a new brand. Market the brand and its products to target audience. SOLUTION | Groundwork - A line of sustainably produced, handcrafted bags designed to be rugged enough for outdoor activities, yet refined for professional use. DETAILS | Researched sustainability issues in new product development. Created a luxury brand of sustainably produced bags built for work and play. 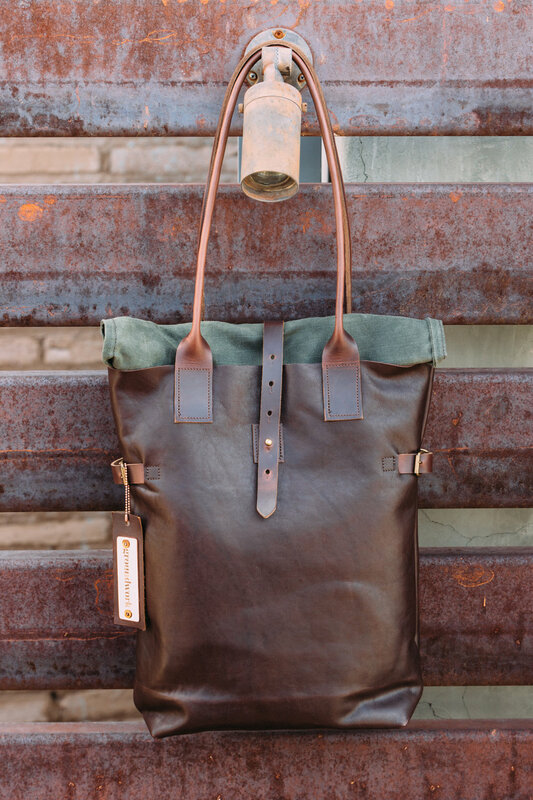 Worked with leather craftsman to design and produce the bags. Defined brand values and researched target market. Developed logotype, color palette, and brand imagery. Shot photos at locations across Arizona, California, and Washington. Edited photos using Adobe Lightroom and Photoshop. Designed lookbook layout using brand imagery and wrote copy consistent with brand values. Designed and built physical space for BFA exhibit to showcase the brand and the products.